Dr. Corey Coleman joined Birmingham Heart Clinic as an electrophysiologist in August 2017. Dr. Coleman grew up right outside of Jackson, Mississippi and graduated from Mississippi College. He completed his medical degree from University of Mississippi School of Medicine and then continued his residency in Internal Medicine at UAB in Birmingham. 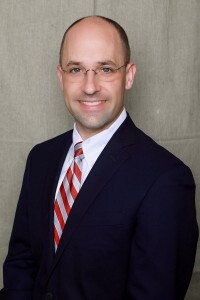 After completing residency training in 2012, Dr. Coleman moved to Cleveland, Ohio where he completed his medical training with honors as a Fellow in Cardiovascular Medicine from the Cleveland Clinic. In 2015, he narrowed his training to cardiac electrophysiology and was named Chief Fellow. Dr. Coleman is board-certified in internal medicine, cardiovascular disease, nuclear cardiology, echocardiography and electrophysiology. He and his wife, Jessica, have four children. He enjoys family, being involved in church, football and being outdoors fishing, hunting and playing golf.